At Arrowhead Alignment & Automotive in Virginia Beach, VA, we strive to provide our community with the best quality auto repair and maintenance at a fair, affordable price. Since 1991, our team has worked diligently to complete all of our services in a timely, reliable and professional fashion. We pride ourselves on our outstanding customer service! We are backed by the NAPA name, service and warranty, with a caring and dedicated environment. We know each driver and vehicle is different, and no service is the same. So we don’t treat each customer the same! We provide individual service and care every time. No need to worry about dealership pricing or unreliable service facilities. Stop by our shop today to experience the local difference. We aim to provide our community with top-notch service, each and every visit. Full-service auto repair is what we do, including everything from a simple oil change or check engine light diagnostic to transmission repair and wheel alignments. Our team is knowledgeable and qualified to repair all makes and models; domestic and foreign. No job is too big or too small. 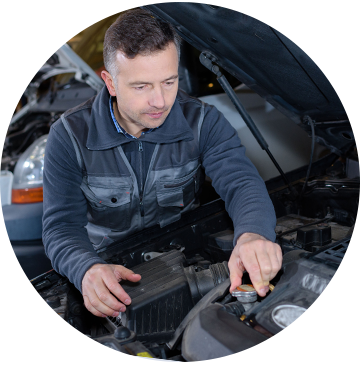 We also offer auto maintenance services and work with you to create a customized scheduled maintenance plan, that fits both the vehicle and the driver’s driving habits. Ensuring proper service intervals will help maintain and preserve your car’s performance for years to come. Help reduce unexpected, costly repairs by letting our team help you improve your vehicle’s care. Come by shop and meet the team or give us a call today! Whether you are in need of a large brake repair or a simple oil change, Arrowhead Alignment & Automotive has you covered. Our team also specializes in all your wheel alignment and tired needs. Whatever your vehicle needs, our team of specialists will get you back on the road, fast. It’s time to trust the experts with providing the best quality service for your vehicle. We offer an industry leading 36 month/ 36,000 mile warranty, and stand behind all of our work. We also offer you several ways to schedule service. You can schedule your next appointment online, with our easy-to-use online scheduling form. If you’re on the go, no worries. Give us a call today at 757-200-1877 to experience the Arrowhead difference! We also accept walk-ins for convenience and after hours drop-off to work around your busy schedule! Excellent service! I dropped my car off in the morning before work for a State Inspection and I was able to pick it up during my lunch break! Very honest guys, I won't take my car anywhere else!